Located fourteen hours by canoe from the nearest road, in one of the most remote regions of the Ecuadorian Amazon, is the Huaorani community of Bameno. Moving down the Shiripuno and Conanaco rivers, we make our way through a thriving rain forest ecosystem, still home to Macaws, Tapirs, and Jaguars. Once in Bameno, we observe one of the most untouched cultures left in the Amazon Jungle—that of the Huaorani; we can hear traditional chants as old as the forest itself in a language that developed before the first Spaniards stepped foot on the continent and listen to elders telling stories about how life was before the first contact with Western culture, only 50 years ago. We can accompany the Huaorani as they hunt packs of wild bore with 10-foot spears and Howler Monkeys with blowguns. Bameno Community Tours, a Huaorani-owned eco-immersion business (operated with minimal outside help), brings guests to parts of the Amazon still untouched by oil companies, loggers, and other outsiders. You will see wildlife that can only be found in the most remote regions of the Amazon and immerse yourself in a culture of proud people, fighting as their fathers did to preserve an ancient way of life, fighting to live free, to live Huaorani. Bameno community tours are coordinated by Penti and Tepena Baihua. Both are licensed guides and respected political leaders. Penti is the General Coordinator of Ome Gompote Kiwigimoni Huaorani (Ome Yasuni). 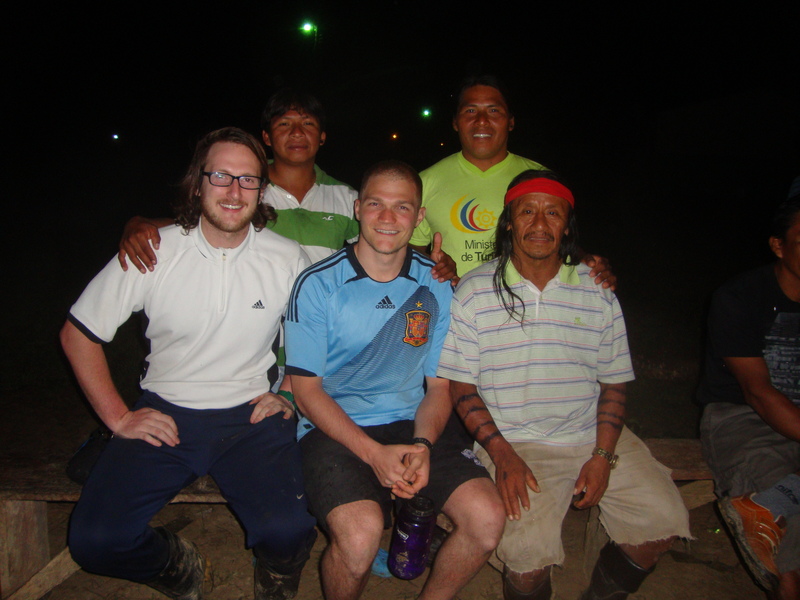 Penti and Tepena are fluent in Spanish and Huaorani. For more information or to book a tour, write (in Spanish) to Penti or Marcelo Baihua via Facebook or to pentibaihua@hotmail.com. *Actual itineraries and activities may vary. The Huaorani cannot guarantee experiences of all that is listed above. Consult with your group guide for trip specific activities. Price: 150 USD per day per person plus a 200 USD per person community collaboration fee to help provide healthcare to members of Ome Yasuni communities. Men and women of any age in good health are eligible to participate. Trip dates are flexible. i would love to visit in may and was wondering details, prices and dates available? thank you ! Please write to Huaorani1@gmail.com for details.